For upgrading your AEG gearboxes to shoot in stronger FPS ranges, the Action Army Upgrade M95 upgrade spring will do just that providing you with 290 to 350 FPS of performance. Made out of high grade anodized piano wire for a smooth operation with maximum performance and extended durability, you will not go wrong here with this powerful upgrade part. 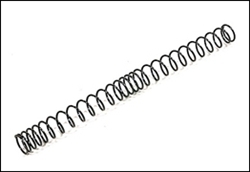 On top of that this spring is compatible with with most major brand airsoft guns including JG, CYMA, Lancer Tactical. Whether you own an M4, AK, or LMG, isn't it time to up your game?